Marie-Annick and Alain have adapted a plot of land just 2km from the sea, formerly used for milk production, to a spacious residential campsite with a covered, heated pool. The Camping Nature Ocean is just 400m from the town of Billiers, and is snugly settled on a former agricultural site that has been adapted to the needs of a hundred or so plots, including about 80 mobile homes that are occupied or rented by owner-residents. The rest of the site is given over to tents and caravans, together with children’s games and a bread outlet. The ocean, just 2km away, is within earshot and the site also features its own covered, heated pool. 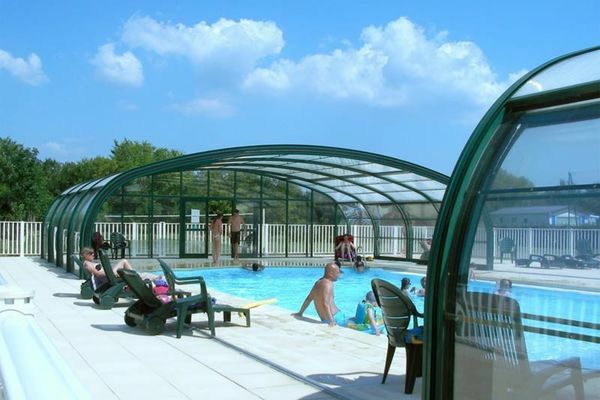 There are some outstanding excursions to be taken from here including trips to the Gulf of Morbihan, the Rhuys peninsula, the salt marshes and resort of La Baule, all of which are easily reached from the site.